Calculators are useful tools for the students and schools children. This tool is being used often. There are many types of calculators from simple ones to complex graphics calculators. There are also some special calculators such as financial calculator. However, most of calculators are universal and can be used by almost anyone. The most universal and advanced one is scientific calculator. In this review we want to find some best scientific calculators. This one is the cheapest and the simplest scientific calculator with 2-line display. Even though I said simplest, this calculator supports 240 functions with multi-replay function. It also supports nine variable memories. This calculator can get the job done, but it does not support more advanced or complex calculations. This calculator is a favorite calculator for the school kids or for the college students as it is cheap and powerful. It comes with slide-on hard case and in dark blue color. This is another simple scientific calculator made by Texas Instruments. This company is famous for making good quality and reliable calculators for different fields. This is their cheapest calculator. Despite that this is a robust, professional grade scientific calculator. It has 2-line display shows entry and calculated result at same time. This calculator supports same functions as the previous one. This product comes with limited one year warranty. This variance is black and dark blue color, however there are several other colors such as white, blue and red. 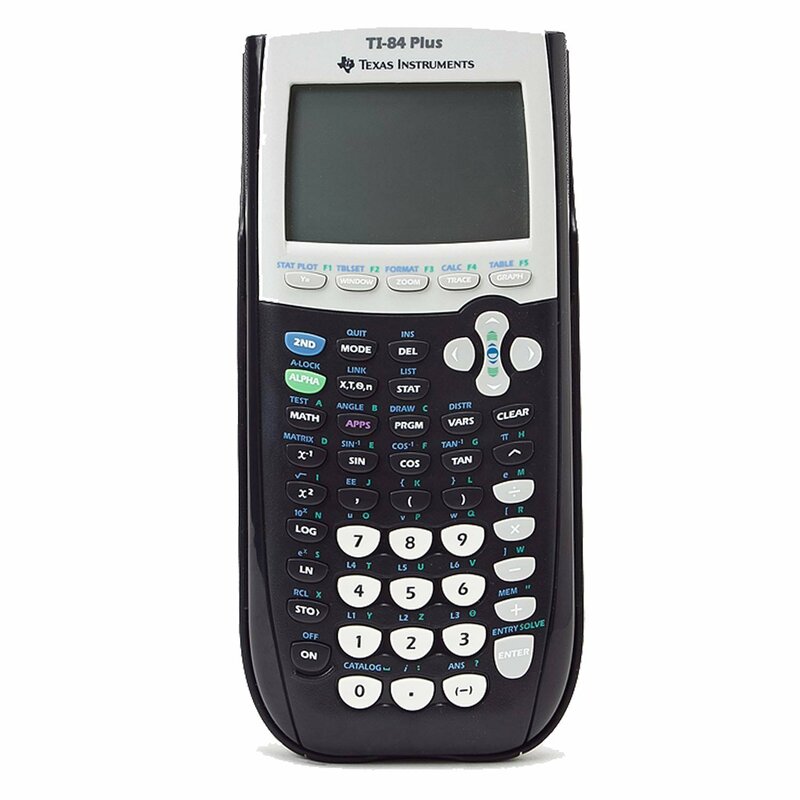 This one is slightly advanced version of the normal scientific calculator with over 280 functions. Those functions include fractions, statistics, complex number calculations, base arithmetic, linear regression, standard deviation, computer science, and polar-rectangular conversions. Another unique thing about this calculator is their display, which they call natural textbook display. This display can show expressions like they appear in textbook. Lastly, this calculator has a multi-replay function that allows to backtrack through calculations, edit them and recalculate answers. This calculator is similar to the previous Casio calculator. This calculator can perform similar functions. This is ideal for the engineering students, but it does not allow and graphical expression. Anyone who does not require graphical calculations will be satisfied with this calculator. This calculator has MultiView display that can show multiple elements on the screen and MathPrint function that shows math expressions, symbols and stacked fractions just like they appear in textbooks. This calculator can convert fractions, decimals and terms including Pi into alternate representations, as well as select degrees/radians, and other number format modes. This product comes with one year warranty too. One of the main strengths of this calculator is its large 16 digit, 4 line LCD display, with WriteView display technology that allows calculations appear same as in a textbook. This product supports up to 335 Functions with 3 Modes. It also has memory buttons for storing formula or answers. This calculator comes in a black color with silver inserts and a black color protective cover. This is a durable and sturdy product build to last. It has a one year warranty. This product has a similar functions as two previous products, but offers it at a slightly lower price. This one is one of the most professional and sophisticated scientific calculators available in the market. Besides just calculating the numbers, this product can also display graphs and calculations. This product has a large LCD display that is suitable for making graphs and equations. It can also display up to 10 rectangular functions, up to six parametric or polar expressions, and up to three recursively-defined sequences. This calculator also can be connected to a computer using USB cable that is already included in the box. This product also comes with a variety of applications that are installed inside, such as CabriJr, Conic Graphing,LearningCheck, Polynomial Root Finder and Simultaneous Equation Solver, and so on. This product is allowed to be used in some of the university or college entrance exams and in some tests, while it is banned from some tests. Despite being the most expensive in the list, this calculator is a best seller in Amazon with high user ratings. In this list I’ve tried to summarize for you some of the great scientific calculators available on Amazon and Ebay. There are so many products, that it is very easy to get lost. However, most well-known producers for calculators are Casio, Texas Instruments, Sharp and HP. In this list we took some calculators from those manufacturers. Here we have a very basic models that will be great for school students. There are more sophisticated models at just a slightly higher price. They provide much more functionality and better display. We also have a good graphics calculator from Texas Instruments. It is a high quality and sophisticated product which will be great for graphic calculations.